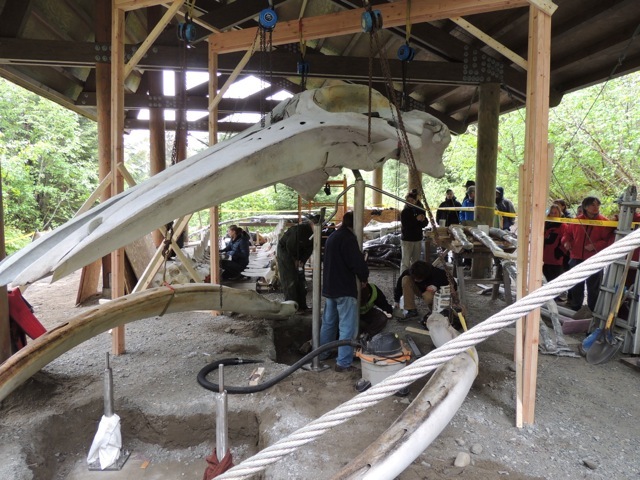 The most recent post was about the orca skeleton at the Gustavus Library… now here’s one about our other local whale bones—the 45-foot-long skeleton of “Snow” that is currently being installed at Bartlett Cove, in Glacier Bay National Park. The bones arrived last week on the ferry, and within just days the re-articulation is starting to take shape. I went out on Friday with some friends to see the progress, and had time to do a few sketches in the drizzle outside the shelter. 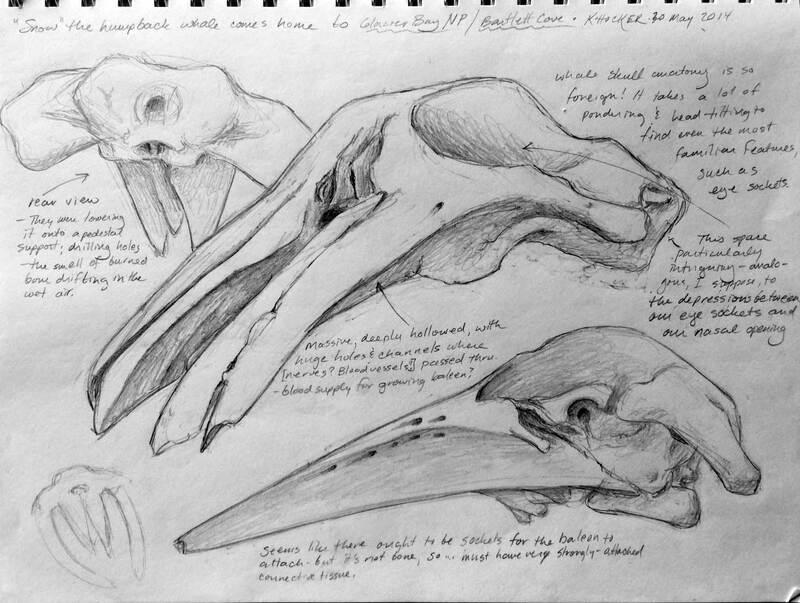 Plus, the whale skull presented such different shapes from different angles! From the side, like a bird, from the front and back, like…? I realized that I didn’t put anything in for scale in my sketch page, so I’ve also added a photo of the crew at work placing the skull. For more on the Snow project, you can go to the project page on the NPS website.